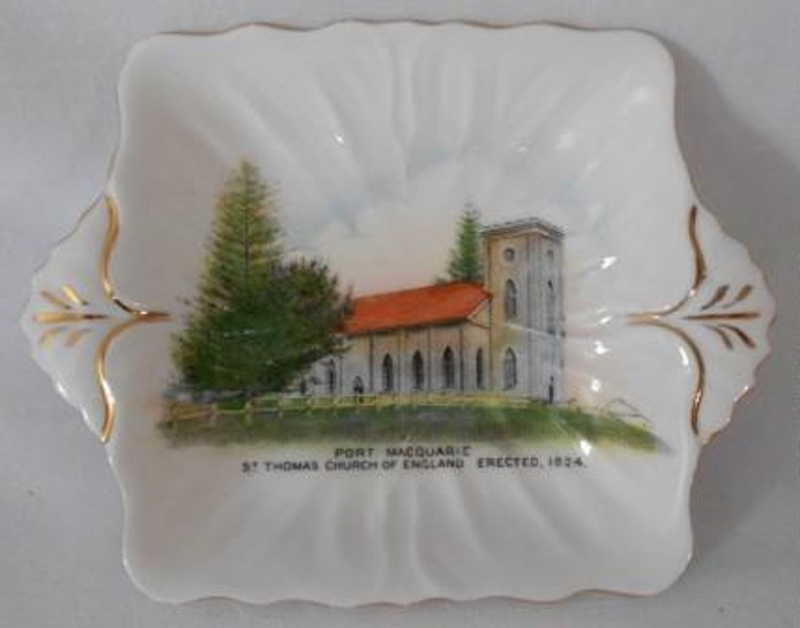 White bone china small square plate with sculpted raised sides and handles featuring a colour transfer print of St Thomas' Church Port Macquarie and wording 'PORT MACQUARIE/ ST THOMAS CHURCH OF ENGLAND ERECTED, 1824'. Handles have a painted gold leaf pattern on them and the plate has a gold rim. The souvenir plate was made for J. A. King, Chemist, Port Macquarie to sell in his Horton Street chemist and gift store. King purchased the business from C A Ryan in February 1950.